J. Cole’s 4 Your Eyes Only is a powerful, insightful, and engaging musical experience that is easily one of the best artistic triumphs of 2016, and I don’t usually give such soaring reviews. 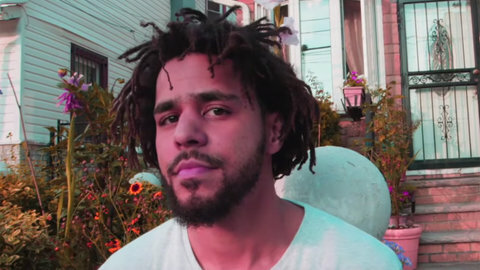 I went into listening to J. Cole’s 4 Your Eyes Only with no expectations. I hadn’t been much of a fan of his prior work, and since he’s been largely absent from the music scene for a few years, this release came out of nowhere for me. But in the first couple of seconds, I could feel that I was about to listen to an important work. Purely looking at the album for J. Cole’s performance, he harkens back to the rap music of my childhood, so much so that I wouldn’t be surprised if Cole was Tupac’s 2nd cousin on his momma’s side. His delivery is hard and gritty, sharp and blunt. And unlike the majority of rappers out there, Cole speaks about the harsh realities life, not fame and fortune or chasing tail. That’s type of artist the rap game sorely needs. This is highlighted on songs like “Immortal” and “Neighbors” where his words are layered with meaning that require a couple listens to truly understand their depth. On “Immortal”, Cole turns the idea of immortality on its head, firing off lyrics that catalog the many grim fates black people fall victim to while concurrently arguing that their legacies are immortal. “Neighbors” is all about a black man moving up into a better neighborhood where his neighbors assume he’s there only because he’s selling drugs. It’s a stark look at how we can’t escape being Black in America. Outside of the hard-hitting lyrics, there is an underlying melodic component to a number of the tracks on the album. “Change” is set to a decidedly R&B beat, and backing vocals from Ari Lennox add a strong soulful element. “Foldin Clothes” is more of a rock/soul composition, pairing electric guitar with humming bass guitar and harmonic background vocals. Both songs would serve as great entry points for those not intimately interested in rap as an art form, as their clear focus on artistry transcends the practice of spitting over beats. But paramount to all of that is the storytelling Cole is able to achieve. The bulk of 4 Your Eyes Only is not even performed from his own point of view. It mostly tells the story of his friend, a fictional character named James McMillian Jr., through selling drugs, falling in love, and having a daughter. In this manner, Cole is able to humanize concepts and ideas that we too often do not ascribe to actual living, breathing, and dying people. This story is told most boldly through the tracks”Deja Vu”, “She’s Mine Part 1”, “She’s Mine Part 2”, and “4 Your Eyes Only”. “Deja Vu” plays over a track nearly identical to Brysen Tiller’s “Exchange” (the controversy isn’t worth detailing here) and amounts to a love story wherein James is courting a woman who is already in a relationship. But he knows she should choose him because, even though they are in a small town, he has bigger dreams. Then on parts 1 and 2 of “She’s Mine”, James marvels at the wonderment of having a child. The simple amazement of that feeling is captured both in his poetic lyrics and in the mellow piano backing track. Then title track “4 Your Eyes Only” closes out the album, bringing the concepts of “Immortal” full circle as James records his life story for his daughter after having premonitions of his own death. The song nearly runs a full 9 minutes, and it’s a testament to his talent that J. Cole can keep a listener engaged for that long. This is also where it becomes crystal clear that Cole has reached To Pimp A Butterfly levels of greatness. He is such a master of his craft that he is able to shoot for higher than a tight flow or sharp wordplay. Those are easy for him. J. Cole’s 4 Your Eyez Only attempts to be a nuanced reflection of humanity, and his personal expression succeeds at speaking on behalf of the many. February 20, 2013 Can Real Female MCs Recapture Their Success?